EPA 25 MPG Hwy/18 MPG City! CARFAX 1-Owner, GREAT MILES 52,942! Third Row Seat, Heated Seats, Remote Engine Start, CD Player, WiFi Hotspot, Dual Zone A/C, Bluetooth, Aluminum Wheels, WHEELS: 18" PAINTED ALUMINUM, Rear Air CLICK ME! Third Row Seat, Rear Air, Heated Driver Seat, Satellite Radio, iPod/MP3 Input, Bluetooth, CD Player, Remote Engine Start, Dual Zone A/C, WiFi Hotspot, Heated Seats MP3 Player, Keyless Entry, Privacy Glass, Child Safety Locks, Steering Wheel Controls. 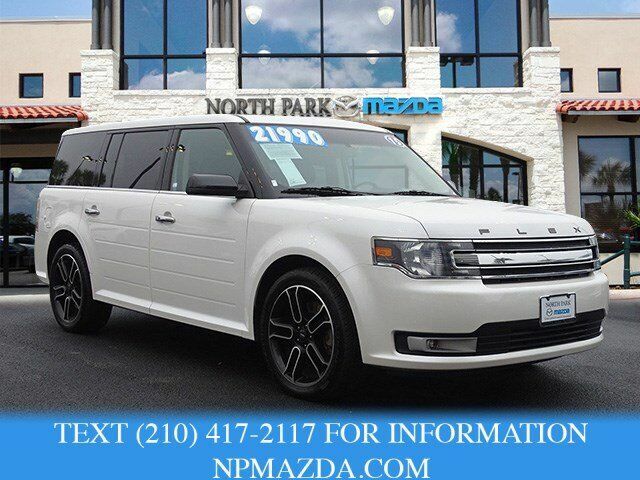 Edmunds.com explains "The 2015 Ford Flex offers a desirable combination of space, versatility, features and solid driving dynamics. It's a top choice among large, seven-passenger family crossovers.". Great Gas Mileage: 25 MPG Hwy.